Yesterday I mentioned the cost of the conflict in and around Gaza and we looked at a map of damage. Today, we look at a daily-updated graphic from the Washington Post that counts the human cost—the number of dead. Credit for the piece goes to Lazaro Gamio and Richard Johnson. I have done quite a fair bit of coverage on Ukraine. It is a terrible story, but I have also been personally interested in Eastern Europe for awhile. But Ukraine is not the only story in the world, we have seen Gaza erupt in flames. But with the recent, temporary ceasefire, we have been able to calculate the physical and human cost of the Israeli airstrikes and incursions. 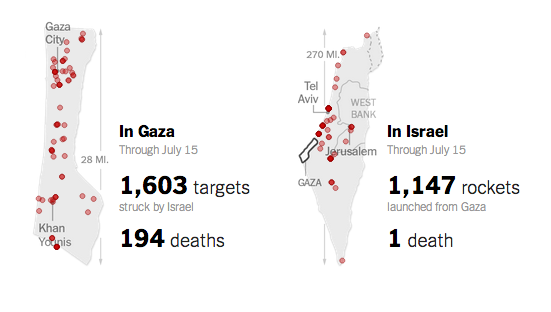 The New York Times in this graphic looks at the destruction wrought by Israel in one neighbourhood of Gaza City. Credit for the piece goes to the New York Times’ graphics department. Today’s piece, the first not on Québec, is a small but poignant reminder of the disparity between the number of deaths in Gaza and in Israel during this most recent conflict. 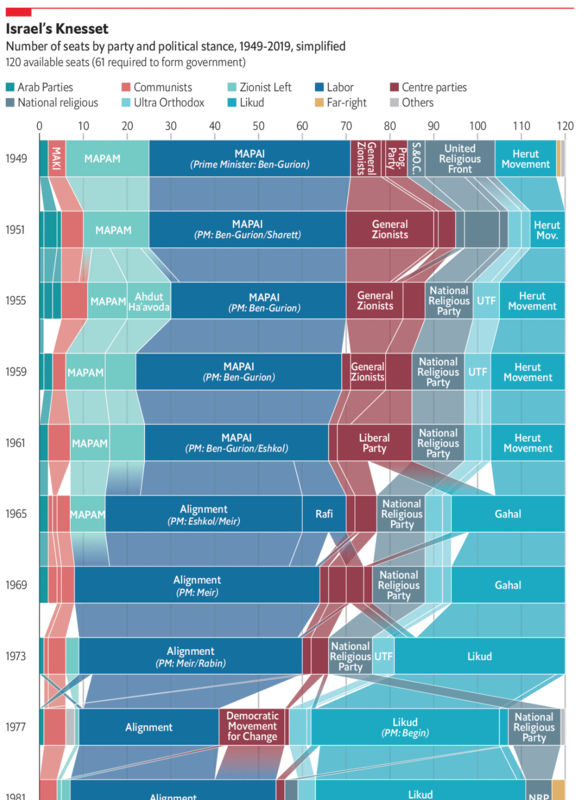 According to the article, as of 16 July there has been one death in Israel for 194 in Gaza. This small piece from the New York Times shows the geographic location of the attacks from both sides and tallies the number of strikes. And the number of dead. Credit for the piece goes to Craig Allen, David Furst, Nilkanth Patel, Archie Tse, and Derek Watkins.